This is my SpeedHack 2006 game. In this game, you are going insane because of massive amount of spam you get. 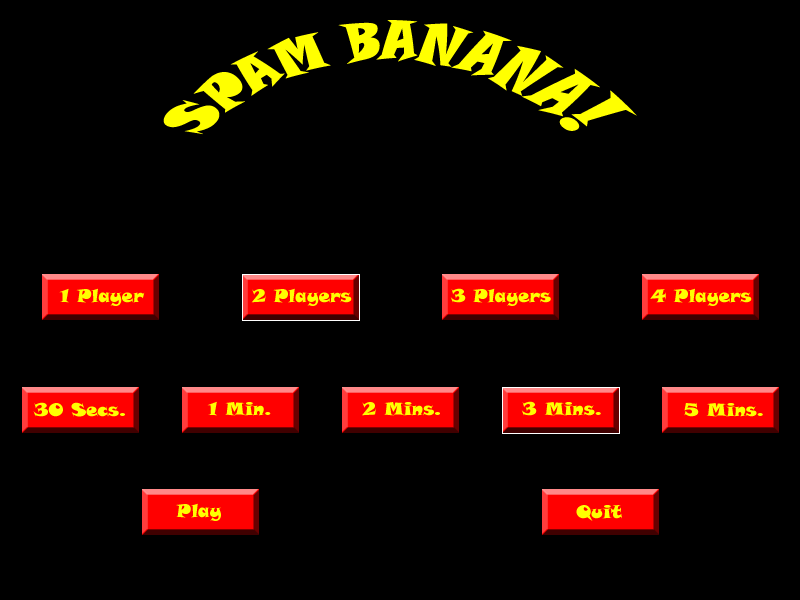 You move to a deserted island to escape, but the spam follows you there, so you build a banana shooting gun to shoot the spam in a last ditch attempt to keep whatever sanity you have left. Insanity! 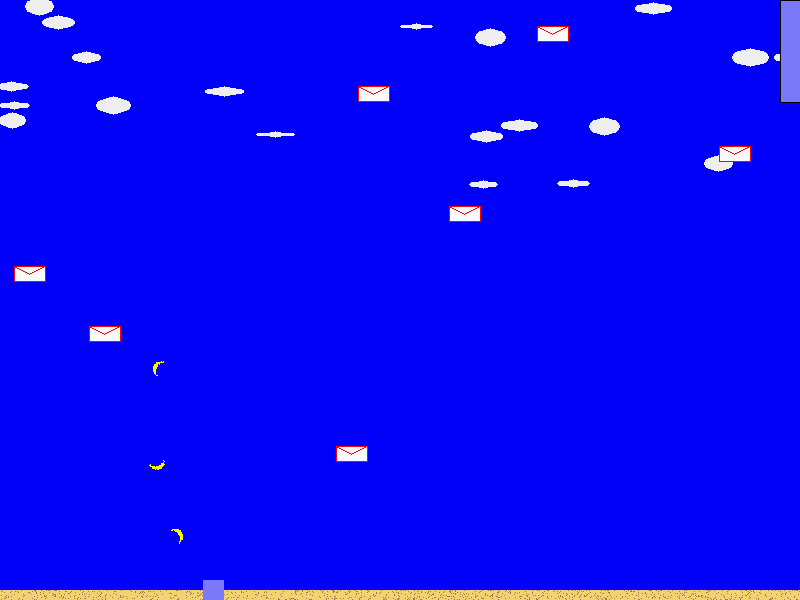 : In this game, your character is crazy as a result of all the spam they got, and moved to a deserted island to escape it, but it followed you there! So to counter act the spam coming to you, you build a gun that shoots bananas! You goal is to last some time without getting too much spam. Time: You have a set amount of time to get a high score. Multiple Players: Up to four players on a computer takes turns playing. 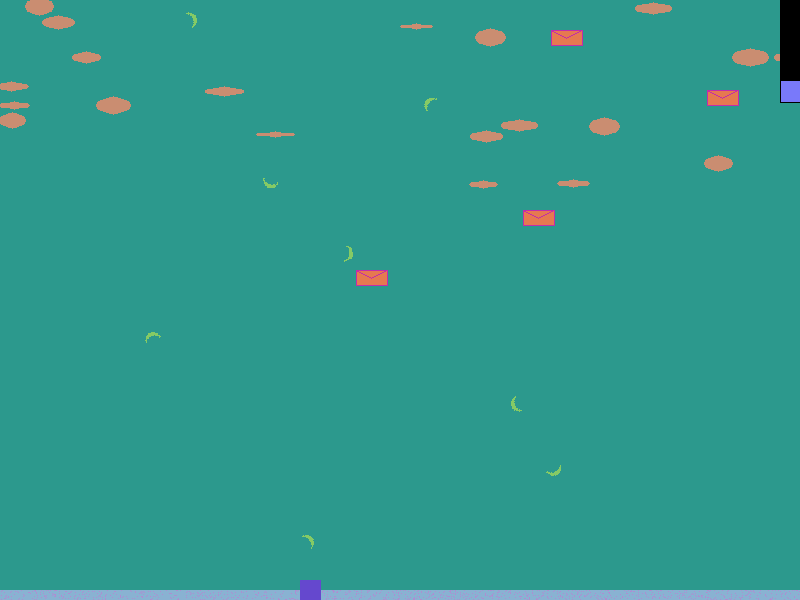 Show no Humans: All you see on the screen is your gun, bananas, and spam. Your character can be anything, including a cat. Bananas! : Your amount is bananas. Actually, most SpeedHack games from this year, the banana rule helped with the insanity rule IMO.